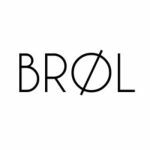 BRØL is a fiercely independent danish nano brewery that’s empowering individuals to fight food waste – one sip at a time. Our sustainably crafted products are made with fresh unsold bread provided by specially selected Danish bakeries. We transform this surplus produce into intense, flavour packed beers, giving our drinkers a deliciously simple way to tackle a truly global issue.